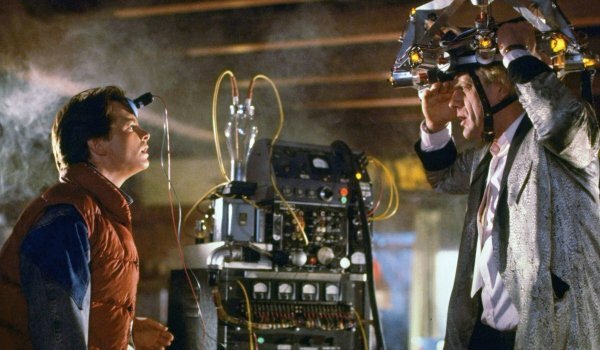 The original Back to the Future turns 30 next year, and the creative team behind the trilogy have talked about plans to celebrate the franchise’s legacy. Fan screenings, Q-and-A sessions, anniversary re-releases – tons of ideas are on the table, so long as Robert Zemeckis, screenwriter Bob Gale, executive producer Steven Spielberg, and the cast of the beloved trilogy doesn’t act like a slacker. As part of the lead up, Empire conducted an oral history of BTTF, and crammed in several unknown nuggets of time-travel trivia. So put an egg in your shoe and leave. 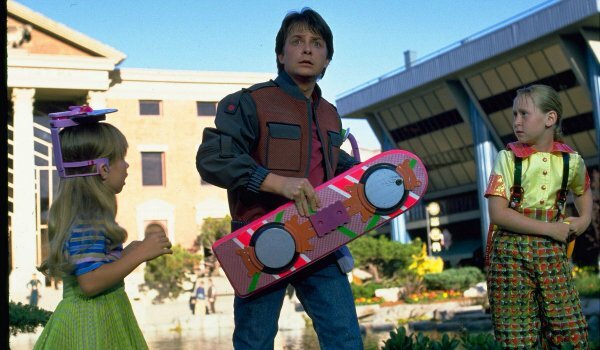 Then come back and check out this list in incredible Back to the Future facts! Or something that didn’t move, at the very least. A large structure, similar to a car wash. "It was actually a rather large object, a chamber," executive producer Steven Spielberg recalls about the earliest draft of the screenplay. "The DeLorean came later. The time-machine was a fixed device. When Bob [Zemeckis] and Bob [Gale] came up with the DeLorean, a four-wheeled time machine, everything began making more sense. It could now take them anywhere." Marty McFly was suicidal. And the producers almost stuck with that idea. "He was so despondent about how messed-up his life was, he was going to commit suicide," Bob Gale admits in the interview. "We thought that was a good idea for way longer than we should have. Finally, we said, ‘We can’t have the main character be someone who wants to kill himself.’"
The ending had nothing to do with a lightning strike. Instead, the time machine was going to be nuclear-powered. "Our original idea was that we were going to end the movie at the Nevada nuclear test site. Marty had to bring the time-machine out into the desert and Doc Brown hooked up a device that was going to harness the energy released at detonation to send the DeLorean back to 1985." Heavy! Building off of that idea that the time machine was nuclear-powered, screenwriter Bob Gale said that they imagined Doc Brown was one of the guys who worked on the Manhattan Project. 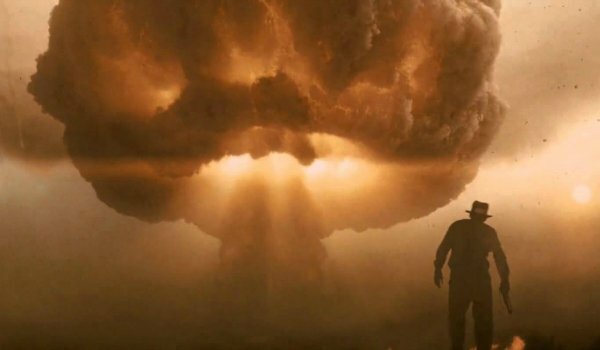 So that’s where Steven Spielberg lifted his atom-bomb opening for Kingdom of the Crystal Skull! "We were fascinated by all the nuclear tests," Gale said. "They would build these fake little towns in the desert and blow them up. If you remember the opening of Indiana Jones IV, where do you think that idea came from? It came from Back To The Future." At one point, Doc Brown had a chimp. And it was studio head Sid Sheinberg who gave Zemeckis and Gale the note to change to a dog. "He said, ‘I’ve done the research. No movie with a chimpanzee in it has ever made a profit,’" Gale recalls. "I said, ‘What about Every Which Way But Loose and Any Which Way You Can, Sid?’ And he said, ‘That was an orang-utan in those movies.’"
Universal hated the title Back to the Future, and actually wanted to name the movie Spaceman From Pluto. But Steven Spielberg saved the day by writing a note to Sheinberg stating, "Dear Sid, thanks so much for your most humorous memo. We all really got a big laugh out of it." And the title battle was over. By all accounts, Crispin Glover was difficult to work with on the set. "One of the biggest challenges was throwing the net over Crispin Glover," Zemeckis admits. "He was completely off about 50 per cent of the time in his interpretation of the character." As an example, the director references a scene in a cafeteria where George is supposed to be writing in his journal. "If you look very closely, his face is all puffy; his eyes were all bloodshot because Crispin insisted his hair should be sticking straight up while he was writing. When I explained to him that it wouldn’t match with what we shot the previous day, he said, ‘Brando never matched.’" Take your damn hands off her, Stella!!! Early test audiences feared animal cruelty. Just because they had no idea what to expect by this completely original film. During a preview screening in San Jose, the audience audibly gasped when Doc Brown sent Einstein on the DeLorean’s initial test run because they thought the movie had killed the beloved dog. Not everyone loved Back to the Future at first. Bob Gale recalls a critic named David Sheehan who panned the movie upon its release. "The other people on the TV newscast said, ‘David, you’re crazy, you need to go back and see that movie again. The movie’s really good.’ They badgered him and he did something he’s never done before, he did a second review," Gale remembers. "And the second review was worse than the first one." "The flying car at the end was a joke, a great payoff," Zemeckis recalls, but nothing more than that. "We thought this would be really hard to unravel and do again." And he’s right. Then the movie took off, and became a smash hit. Which created a difficult conflict for Zemeckis and Gale. "You’re basically given a decision: we’re making a sequel, do you want to be involved in it or not? So we felt we had to protect our work." The sequel almost explored the 1960s. In Bob Gale’s early drafts of Back to the Future II, he wanted to explore a different decade. "George McFly would have been a college professor, Lorraine is a flower child. Let’s do this stuff in the ’60s and see what we could do with that." 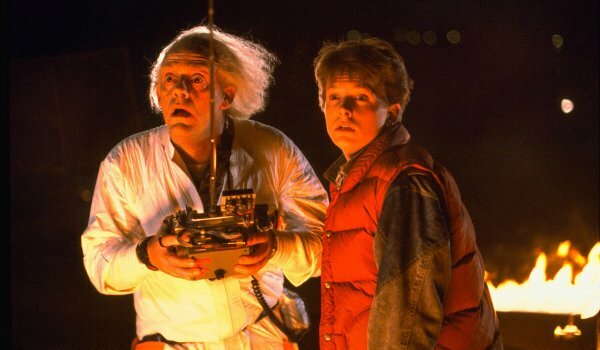 Splitting Back to the Future II into two movies was viewed as revolutionary. In an age where The Hobbit is now three movies, we barely blink when sequels are split in half. Back then, though, the concept of making a sequel into two parts was still ludicrous. As Gale and Zemeckis mapped out the story they wanted to tell, they realized they needed a second movie (Back to the Future Part III). When they asked Universal head Sid Sheinberg for permission, he replied, "Either that’s the greatest idea or the most insane idea. Let’s do it!" Zemeckis LOVES Part II. Spielberg, not so much. The director admits that extending the story led to some creative conflicts. But he says, "Part II actually turns out, in my opinion, to have been the most interesting movie I’ve ever made. It is genuinely avant-garde, genuinely out there." Spielberg, as a producer, has to acknowledge that it didn’t connect quite as cleanly as parts one and three. "Episode II is that little dip in a trilogy that we all go through, like Temple Of Doom," Spielberg tells Empire. "It was a very dark movie and when we previewed it, we could tell that the audience didn’t respond with the same appetite they brought to the first one. I loved Part III, all the Western stuff." Not so long as Robert Zemeckis has anything to say about it. His statements are pretty emphatic. "There’s no Back To The Future IV and there shouldn’t be a Back To The Future IV. I don’t think there should ever be a fourth sequel to anything. Three is a dramatic number. It’s a three-act structure. Four is even. Four is boring." Even though the movie has had an incredible impact in pop culture. As Bob Gale points out, "It still turns up in magazine headlines. Reagan even quoted it in his State of the Union address. … My wife and I went to see Knocked Up. There’s that scene where they’re talking about what they’d do if they had the DeLorean, and the girl had never seen the movie. I turned to my wife and said, ‘Well, this isn’t realistic. How can somebody not have seen Back To The Future?’"
And we have to agree. But let’s leave well enough alone, right? Don’t ever reboot, recast or reimagine Back to the Future. Let’s put the trilogy in a time capsule (pun intended) where future generations can enjoy and appreciate a perfect trilogy of films, with a legacy that remains untarnished.